Rowley Shillito Hooper (1887-1951), the founder of Photogelatine Engraving Company, Ltd. (often referred to simply as “PECO”), was born in Dudley, England, a small town outside Birmingham. He arrived in Canada in 1915 to fill the position of factory superintendent for Rolla L. Crain Company, Ltd., a large Ottawa printing firm. In 1916 he married Edith Emerala ‘Peggy’ Campbell in Montreal (following the death of Edith in 1937, he remarried Leonora Margaret Williams in 1941). In 1917 he left Rolla L. Crain and established his own printing business. “Evangeline”, as painted by Thomas Faed (1826-1900). Longfellow’s heroine was a popular subject for Canadian postcards. PECO published this colour reproduction of a well-known 19th century painting. The name Photogelatine Engraving Co. first appears in The Ottawa City Directory, compiled and published by Might Directories Limited, in 1921. The entry in the alphabetical listing reads: “Hooper Rowley s, mgr Photogelatine Engraving Co. h 2, 15 Arlington av”. By the following year the Company itself is listed: “Photogelatine Engraving Co Ltd, Rowley S. Hooper mgr., 471-473 Wellington”. A postally used Photogelatine Engraving Co., Ottawa postcard, found with the date July 21, 1921, would confirm that the business was up and operating by the summer of 1921. The business, under the management of Rowley S. Hooper, remained at 471-473 Wellington Street from 1921 to 1937 and then moved to 469-473 Wellington Street where they stayed until 1946. According to M. D. Button, a former employee, interviewed February 16, 1979, the owner of the business was a Mr. Talbot from England. There is an element of truth to this recollection. On May 31, 1917 Rowley S. Hooper, signed a memorandum of agreement with T. Allen Hooper of Birmingham, England leather merchant for the advance of 500£ with Arthur George Hooper (his father) of Birmingham, a solicitor and British Labour Party politician, as guarantor. This was presumably used to start the business, and would not of been repaid for a number of years.. The Photogelatine Engraving Company picked up and moved to Toronto in early 1947. The 469 Wellington Street building was occupied by the Department of Public Works in 1947 and utilized as storage. The 473 Wellington Street building was occupied by Spartan Air Services Ltd. 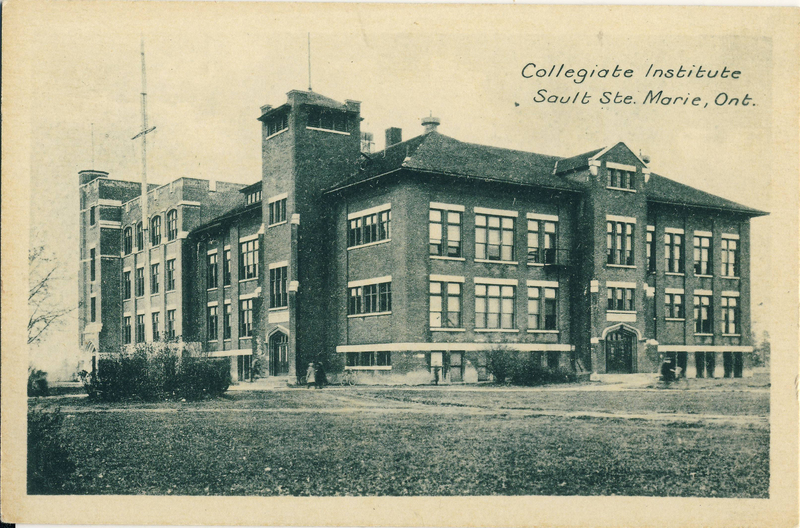 The buildings were demolished in the early 1960’s. Developed by C. Welbourne Piper from an idea by E. J. Wall, it was a variant of the oil-pigment process. Prints, or more usually, enlargements were made on a suitable gelatin-silver bromide paper, and the image was bleached in a solution containing potassium bicarbonate. The gelatin became selectively hardened so that it would take up more or less pigment when hand applied with special brushes. The bleached image was thus ‘redeveloped’ in pigment, the distribution of which was to a large extent under the photographers’ control. Bromoil prints, which may be in a variety of colours, generally show broader tonal effects and more diffuse detail than conventional prints. The postcards, whether monotone black, monotone green, or full colour, were printed on a matte card stock and had a wide white border. The postcards are generally recognizable today because of the diffuse detail. Under magnification there is limited resolution and broad tonal effects – not the tiny squares, or dots found with half-tone illustration. Based on the dated postcards examined to date, some general conclusions on the progress of the business, while in Ottawa, can be drawn. They are of course preliminary. The earliest postcards printed by Photogelatine Engraving Co. (1921-1929) were white border designs in monotone black or monotone green tints. In all cases the caption was hand-lettered, in upper and lower case (or less commonly upper case) on the image. The card stock was unfinished, thick and had a slightly rough appearance. The gelatine printing did not show to the best advantage. In the case of the monotone black cards, only the No. 2 front and the No’s 2 and 2a back designs were used. In the case of the monotone green cards, the No’s 1, 1a, 1b, 2 and 2a fronts and the No’s 1, 1a, 2 and 11 back designs were used. Some of the more interesting postcard subjects treated by the Company in the 1920’s were: views of Rideau Hall produced for “The Fair of All Good Neighbours”, January 14, 1922; views of Ottawa retailed at the Central Canada Exhibition of September, 1926; and various rural scenes taken on the Central Experimental Farm. A number of interesting folders were also produced in the 1920’s, all with 16 photographic views on a single theme: the Ottawa Winter Carnival from January 28 to February 3, 1922 [FPE 4]; the Central Canada Exhibition from September 8-18, 1922 [FPE 20]; the Central Canada Exhibition from September 7-17, 1923 [FPE 33]; the Royal Mint [FPE 21a]; and the Ottawa General Hospital on Water Street [FPE 3]. 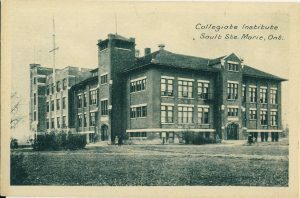 Collegiate Institute, Sault Ste. Marie, Ontario. An example of the early PECO style. In 1930 Photogelatine Engraving Co. introduced a line of white border, full colour postcards. Breaking with past practice, the caption was printed in upper and lower case (or less commonly upper case) type in the border of the design. The card stock was a better grade, somewhat thinner and with a smooth finish. The gelatine printing gave a uniformly better result. At the same time new monotone black and a few sepia tint designs were published on the same improved card stock. In the mid-1930’s some colour and monotone black single cards and a tear-out booklet were produced in the “Giant Post Card” (4″ x 5 1/2″) format. The experiment seems to have been short-lived. Some of the more interesting themes explored by the Company in the period (1930-1947) were: a Chateau Laurier series with many interior views; a Parliament Building series sold in a 10-card envelope; a Royal Canadian Mounted series with its own exclusive numbering and a few cards to commemorate the Royal Visit of 1939. Series were also produced on the neighbouring communities of Aylmer and Hull, P.Q. A few interesting folders/booklets from the 1930-1947 period were: Official Pictures Ottawa Rough Riders from the 1939 season [FPE 29], a souvenir of the Chateau Laurier [FPE 34]; and a souvenir of the Gatineau Park, Federal District Commission [FPE 36]. 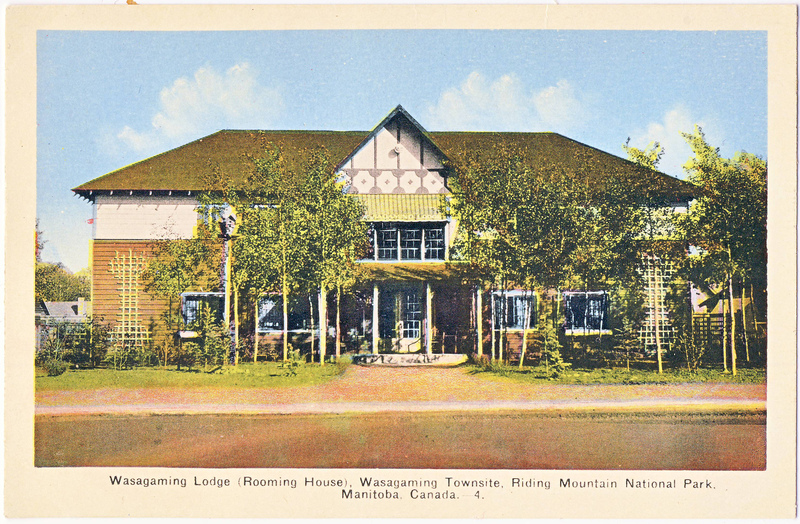 Wasagaming Lodge, Riding Mountain National Park, Manitoba. 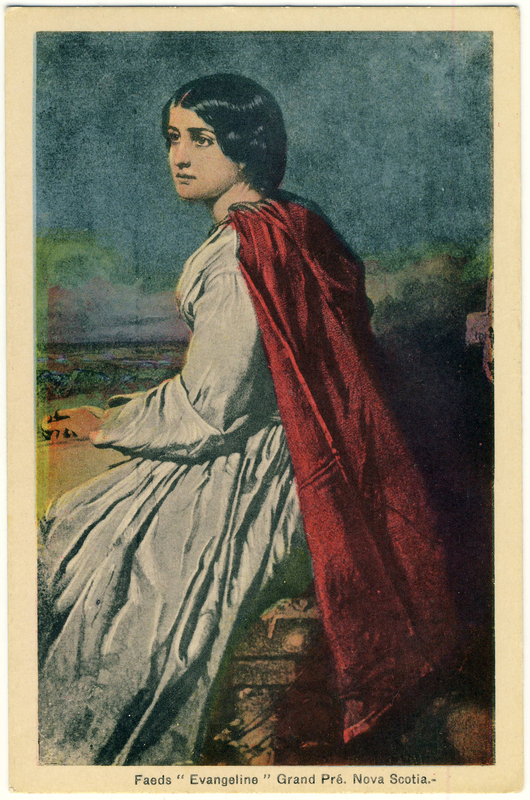 An example of a coloured card produced by Photogelatine Engraving Co. The Photogelatine Engraving Company, Ltd. opened a branch In Toronto in 1926. Confirmation of its arrival is provided by the Toronto City Directory 1926 (Might Directories Limited). The entry in the alphabetical listing reads: “Photo-Gelatin Co of Ottawa (br) Alex McIntosh mgr souvenirs 8, 47 King w” (The mis-spelling of the Company name and the omission of “Ltd.” was corrected by Might Directories in 1928). 47-51 King Street West was the 4 storey Colonial Building, located between Jordan and Bay Streets in the downtown core. Photogelatine Engraving Co. Ltd occupied room 8 on the second floor. In 1928 Photogelatine Engraving Company, Ltd. moved to 101 King Street West, a smaller building, between Bay and York Streets, which they shared with 4 other tenants. In 1933 Photogelatine Engraving Company, Ltd. moved to 90 Bond Street, a modest sized building, between Shuter and Dundas Streets, which they shared with 4 other tenants, one of whom was Arthur Lane, another postcard publisher. Within a year they moved once again to the 8 storey Empire Building at 64 Wellington Street, between Bay and York Streets, and within a block of Union Station. They began in room 615 on the sixth floor, but in 1942 exchanged this for room 511 on the fifth floor. In 1943, Alex McIntosh, the manager who had opened the branch in 1926, left the Company, and was replaced by the salesman/sales manager, John H. Bain. Perhaps in anticipation of the move of the parent company from Ottawa, in 1944 the branch moved into a house leased by John H. Bains at 311 Strathmore Boulevard between Monarch Park and Coxwell Avenues. This was on the east side of the city and close to what was then the City Limits. The final move of the branch in 1945 took them a bit further north to John Bain’s own house at 418 O’Connor Drive in East York. Located between Airley Crescent and Four Oaks Gate, in a pleasant residential area, the business was far removed from the city centre. Note: As early as 1943, John H. (Jack) Bain was publishing his own real photo postcards from the 418 O’Connor Drive house. 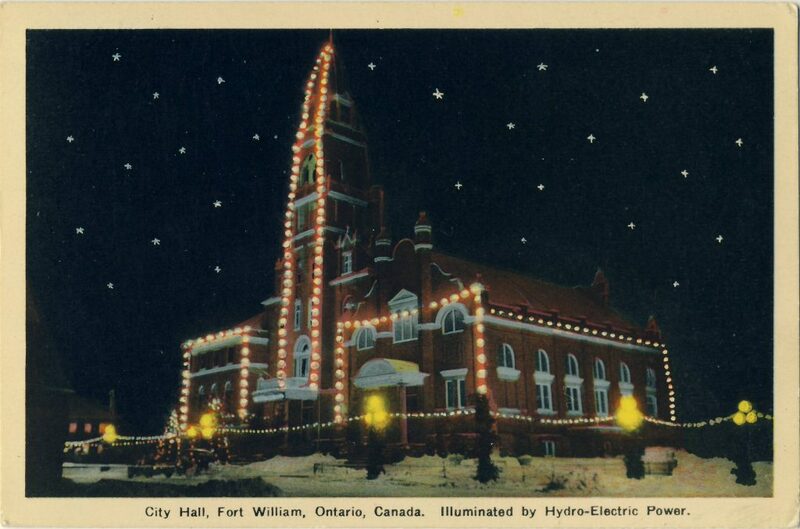 Adopting the name “Kromo Graphic Postal” about 1951, he continued to publish white border postcards printed by the offset process which were obviously printed by the Photogelatine Engraving Co. Ltd.
City Hall, Fort William, Ontario. Here colouring effects are used to produce an impression of a brightly-lit building at night. The Photogelatine Engraving Company, Ltd. completed its move to Toronto in 1947. Confirmation of its arrival is provided by the Toronto City Directory 1947. The entry in the alphabetical listing reads: “Photogelatine Engraving Co Ltd R S Hooper, pres Robt Church, genl mgr 3551 Danforth av (Scar)”. The new single-floor plant, on one-half acres at 3551 Danforth Avenue was beyond the former City Limits, in Scarborough, between Balford and Warden Avenues. It was expected that when up and running in early 1947 “50 new employees will be required to turn out the company’s lines of postcards, view books, folders and calendars.” The general manager, Robert Douglas Church (1910-1998), was the son-in-law of Rowley S. Hooper, having married his eldest daughter Betty M. J. Hooper in 1943. Rowley Shillito Hooper died June 16, 1951. In 1952 he was replaced as president and general manager by Robert D. Church. The Company closed in 1954. In 1955 Robert D. Church became the senior supervisor of Rolph-Clark-Stone in Toronto. The site of the building is now Chester Village built in 1972 as a long-term care facility. Beginning in 1947, postcards produced by the Photogelatine Engraving Co. carry a Toronto address, confirming the firm had relocated by that date. Most of the postcards produced in this period are reprints of earlier white border gelatine colour, monotone black and sepia designs. Early in the 1950’s the firm introduced a radically different type of postcard. The white border, which had become a trade-mark of the Company over the years, was dropped in favour of an image occupying the entire front. The corners of the postcard were rounded. The caption was removed to the back. Perhaps in imitation of the increasingly popular modern chrome postcard, the design was printed by a collotype, full colour process and given a varnish finish. Some of the more interesting subjects covered by the Company in its later years were: numbered sets of Westboro and Hull P.Q. views and a contract issue for the Sisters of the Precious Blood in Ottawa. The two-panel advertising postcard produced for a motel in Leamington, Ontario (shown below) is an example of this type. Canada, Secretary of State. Report of the Secretary of State of Canada for the year ended March 31, 1921. Canada Gazette, “The Photogelatine Engraving Company, Limited”, July 3, 1920, p. 27. 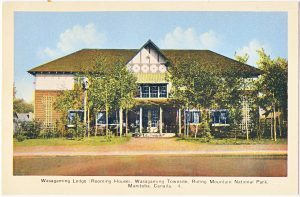 Manery’s Motor Court, Leamington, Ontario. A bifold (double) postcard produced by Photogelatine for promotional purposes. As noted above, this type of card dates from PECO’s later years and appears to have been an attempt to make PECO’s collotype process conform to customer expectations that had been altered by the emergence of modern “chrome” postcards in the years following World War II. This page was contributed by TPC member Ken L. Elder (21 August, 2018). Error: Error validating access token: Session has expired on Friday, 12-Apr-19 20:21:58 PDT. The current time is Friday, 19-Apr-19 21:55:54 PDT.